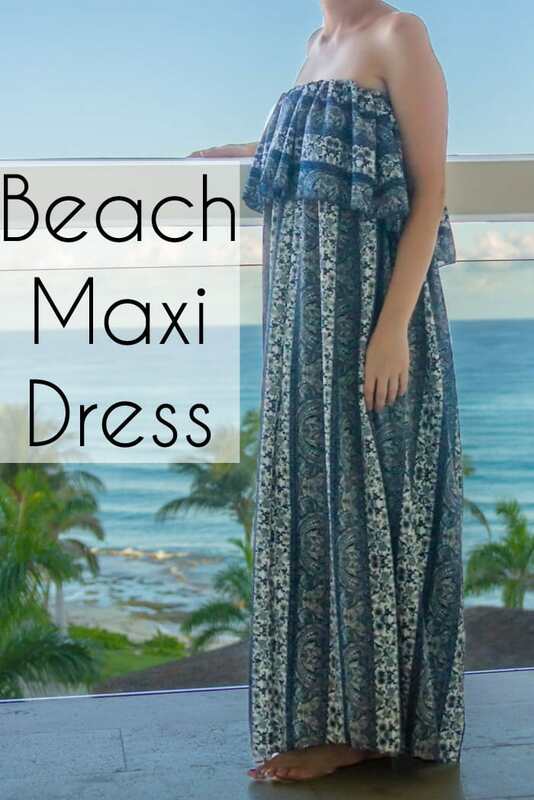 Hey y’all, today I’m sharing how to make this super easy beach maxi dress. I think this post may also have set a record for how far in advance I prepared it. 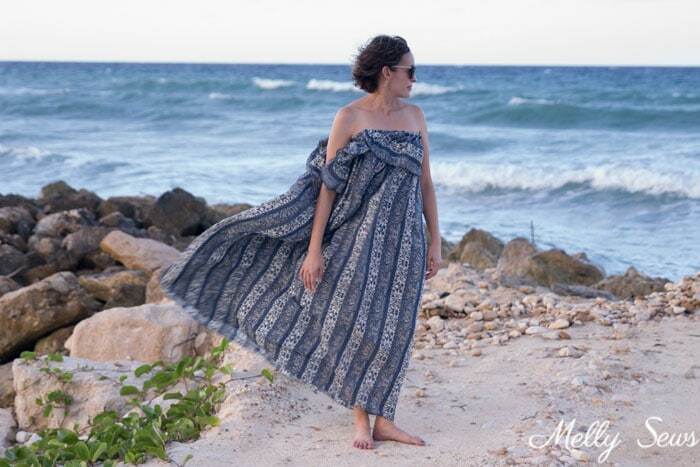 Last November I attended a blog conference in Jamaica, and I knew that I had to make a sundress for this series for that trip. So if you’re wondering why my hair is suddenly shorter in these pictures than it has been on Instagram, well it’s because these pictures were all taken 7 months ago, ha! And getting a good picture of this dress was much harder than I thought it would be! After we got over the whole foggy lens phenomena that happens when you’re going from air conditioning to humid beach heat (which is why the title image here isn’t as sharp as I had hoped), then we had great light (above) but crazy wind! And then there was less wind, but this was as early in the morning as I could get up and the sun was already much higher than I had hoped it would be. So harsh shadows, yay! Either way though, I think you can get an idea of what the dress looks like. And it’s so easy to sew! Want to make your own? First you’ll need at least 2 yards of fabric. If you’re tall, make that 2 1/2 yards. 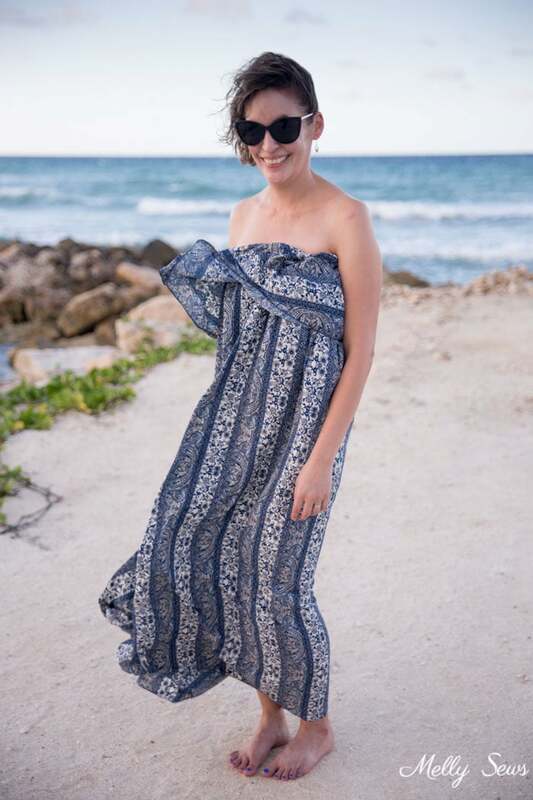 If you’re plus sized or your fabric is only 44″ wide, best to double that yardage. It’s a lot of fabric, I know. Also important – get something drapey. This is a polyester crepe. Rayon or double gauze would also work well, but swath yourself in that much quilting cotton and it will look like you’re wearing a tent, so unless that’s the look you’re going for, use caution. You’ll also need some 1 inch wide elastic. To decide the circumference of your dress, you can double either your bust or waist measurement. If you’re top heavy, use the waist measurement and just make sure that your waist doubled is larger than your bust (so you can step into and pull the dress on), if it isn’t add a few inches so that it is. We’ll call this doubled number Number A. Now cut a ruffle, measuring Number A by 10 inches tall. You may need to piece two pieces of fabric together to get the width of Number A. Then measure yourself from above your bust to the floor. 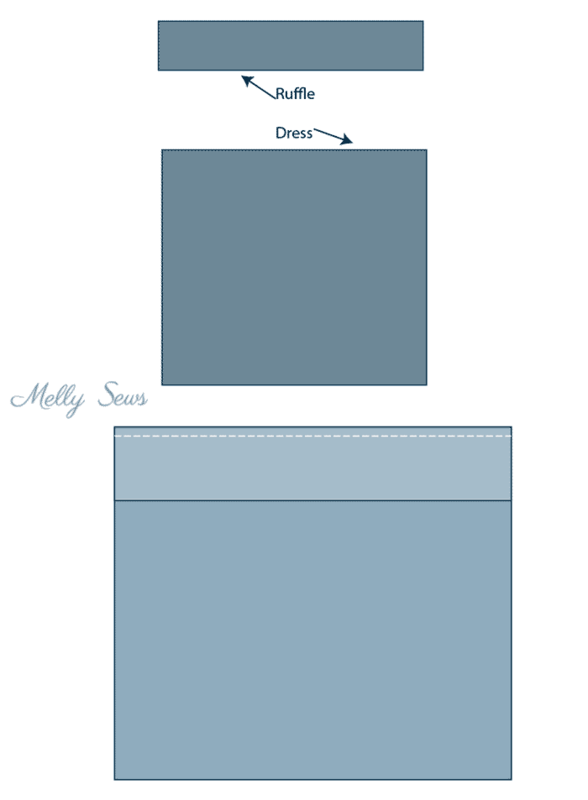 Add three inches to this measurement and cut your dress so that you have one (or two) pieces that are this length by Number A wide. Finish the bottom edge of the ruffle. Then sew the ruffle to the top of the dress, with the right side of the ruffle against the wrong side of the dress. Seam the dress/ruffle so that it’s a loop. 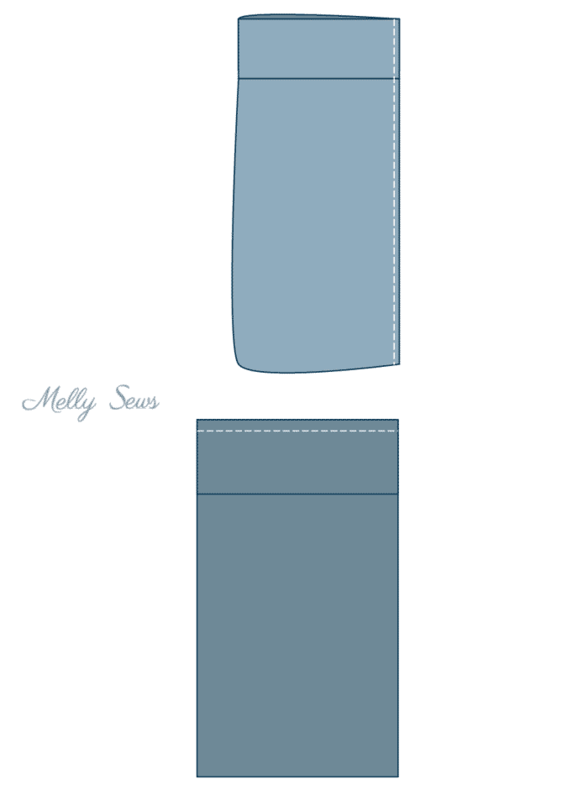 Then flip the ruffle out to the right side of the dress; now the wrong side of the ruffle is against the right side of the dress and the raw edges of fabric are in the layer between the two. Press the seam. 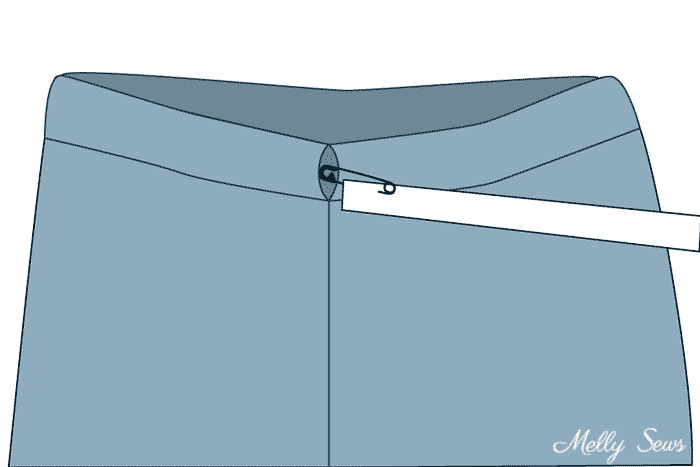 Sew a line 1 1/8″ below the pressed seam edge to form a casing for the elastic. Measure the elastic above your bust, stretching it slightly. Then open up the casing by seam ripping the side (or center back, depending on how you sewed your fabric into a loop) seam on the inside of the dress only. Thread the elastic through the casing and sew it into a loop, then blind stitch the casing opening back together. Try the dress on. Note that you can either wear the elastic casing on top or roll it to the inside of the dress (which is how I’m wearing it in these photos). 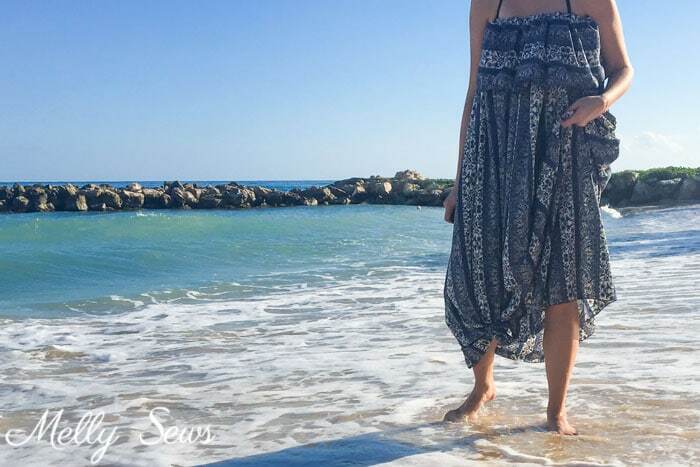 Mark the hem, then hem and done!